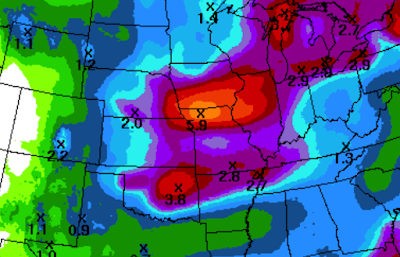 Here is the 7-day rainfall amount forecast. I continue to be worried about flooding from northern Missouri into Michigan (where rivers are already running high). In addition, it looks like an active week for severe thunderstorms starting tomorrow. I'll have more on that later in the day.